Are you utilizing 5-axis machining? Could your shop benefit from the efficiency and power that 5-axis machining offers? The majority of people not embracing this technology lack a true understanding of 5-axis practices. 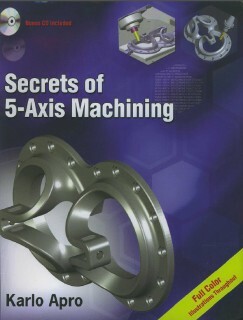 There are many common misconceptions on the subject, and the intent of this book is to demystify 5-axis machining and bring it within the reach of anyone interested in using the technology to its full potential.